60th Diamond wedding anniversary heart shaped 18 inch foil balloon from Qualatex. 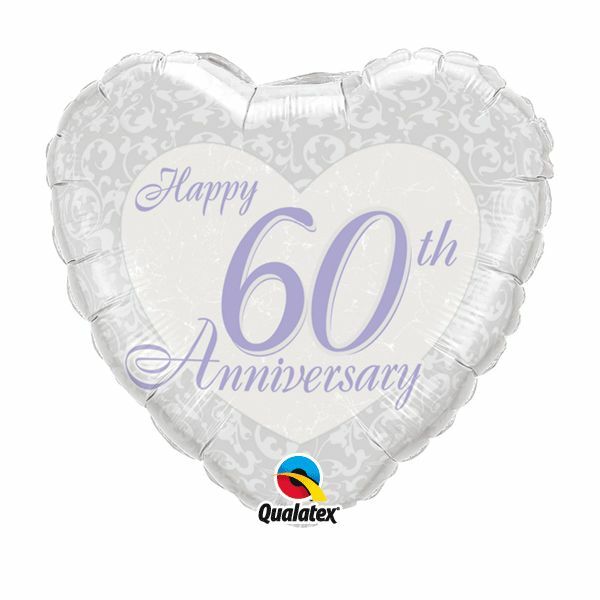 This balloon requires helium filling and requires no tying as they automatically seal once filled with helium. Lovely, special balloon for a very special occasion.